“Take a pass on bad manners, on thoughtlessness, on unreliability, on carelessness and on all the other ways people distinguish themselves as unappealing specimens. Take a pass on your own unappealing behavior, too: the pining, yearning, longing and otherwise frittering away of valuable brainwaves that could be spent on Sudoku, or at least a jigsaw puzzle, if not that Beethoven sonata you loved so well in college. The rest of the article: Masterpiece. 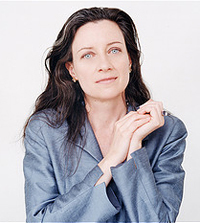 About Dominique Browning: From 1995-2007, she was editor-in-chief of House and Garden. She has written for the New York Times, Wall Street Journal, New York magazine, O, the Oprah magazine, Departures, Food & Wine, Travel & Leisure, and Wired, among others. She blogs at SlowLoveLife.com and writes a monthly column about environmental issues for the Environmental Defense Fund website. In 2011, with the Environmental Defense Fund, she founded the Moms Clean Air Force, which treats air pollution as a children’s health issue. Browning has written three books: Around the House and In the Garden: a Memoir of Heartbreak, Healing, and Home Improvement; Paths of Desire: the Passion of a Suburban Gardener; and Slow Love: How I Lost my Job, Put on My Pajamas, and Found Happiness. She is a classically trained pianist and has two grown sons. I can’t do all time, I don’t even believe in it. It depends on which time, doesn’t it? If I’m reading Austen at the time, it’s Austen, but if I’m reading Tolstoy, it’s Tolstoy. If it’s 1940 and I’m reading “Black Beauty,” it’s Anna Sewell, but if it’s 2010 and I’m reading “The Cave,” it’s Saramago. Poor man. Something as far as possible from Washington, D.C., and noisy self-righteous jackassery. “Mansfield Park” maybe? At my age, nothing I haven’t done embarrasses me. Only some things I did do. And that was long ago. What I hear in these women’s words is discernment – and contentment. Nothing smug – but still, a fundamental satisfaction with the self she has become. I hope one day I’m old enough for that. I love Ursula’s response to favorite novelist of all time – couldn’t agree more with her! I love this post, Jennifer! Well done. Love this! Thank you for keeping our eyes on the wisdom and good humor, Lady Bacon! “The key to life is resilience, and I’m old enough to make such a bald statement. We will always be knocked down. It’s the getting up that counts” written by Dominique has been said before in other ways but it’s so true! Perspective comes with age. Thank you Jennifer for letting us know about this article! I absolutely fell out over Dominique’s article when I read it last Sunday. It made perfect sense to me. Isn’t it amazing the changes we all go through to get to this wonderful time in our lives. I’m so glad you posted about these two women today, Jennifer. Wow! I loved this article, thank you Jennifer for sharing. For me it expressed ideas I’ve felt but not put into words.